I don't think getting a spare C64 is an irrational want. Getting a Spartan to emulate an Apple ][ on your C64 might be though. - Atari 800 with all old peripherals. For me its a Camputers Lynx. I love the design of the Lynx, with its elegant business grey case and red legends on the key caps, and I loved the idea that you could take a Z80 based home computer and expand it to run CP/M with an 80-column display. Of course the reality was that the 48K Lynx could never deliver on that promise, and I don't think the 96K Lynx could either. As I understand it the 128K Lynx, which could run CP/M, was mostly incompatible with the smaller memory machines, so little of the entertainment software would run on it. Yet I still lust after a 96K Lynx with the disk drive. I have the emulator, and I know the software was pretty bad. The 48K machine was really more like a 16K machine as 32K of the RAM was dedicated to video, and the video display was painfully slow, as each character was rendered pixel by pixel. The Lynx BASIC was bizarre with floating point line numbers and a screen that wrapped back to the top when you got to the bottom. I have resisted buying one, they don't come up on EBay that often, it would be expensive to import to the U.S., and would be something toyed with once or twice a year, and then put back in to storage as my Atari 8 bits, VIC20 and TI99/4A are much more interesting machines to interact with. I wouldnt mind a Commodore 8050 dual disk drive. I always thought the Lynx was interesting and I'd love to have one, but any time I've seen them up for auction, they seller didn't ship to the US or the price went through the roof. The machines with extra RAM are very rare. The oddities of the BASIC aren't surprising. Almost every machine with it's own unlicensed BASIC have some differences and it sounds like the programmer might not have had a lot of experience. Displaying text with graphics isn't unusual, the ZX Spectrum does this, and programs on the Tandy CoCo used it for word processing and the Flex OS before that. So... that in itself isn't a huge deal. How efficient the code and hardware are might be. The 6x10 font doesn't lend itself to really fast text output and it sounds like the Lynx had a lot of video wait states. The Lynx was a decent idea but the company made some critical mistakes. It sounds like the hardware and BASIC needed some work, they tried to compete with budget computers using a more expensive machine, and they had minimal financing. Edited by JamesD, Fri Mar 11, 2016 2:12 PM. There's nothing irrational about wanting an ST Book! I would love to own one as well... crescent fresh condition even. I think when it comes to irrational, probably an FM TOWNS Marty II - just because it would be cool to check out in person but I suppose that's about it. I really, really want an Apple ImageWriter II even though I know I'd probably only print a few things and then never touch it again. Edited by ElementalChaos, Fri Mar 25, 2016 3:22 PM. I just splurged on an Okidata dot matrix printer for my commodore. Unfortunately it only has CBM serial, so I still need something for my Apple //s... An ImageWriter would be awesome! A KIM-1 or an Atari 1450XLD would top my list. 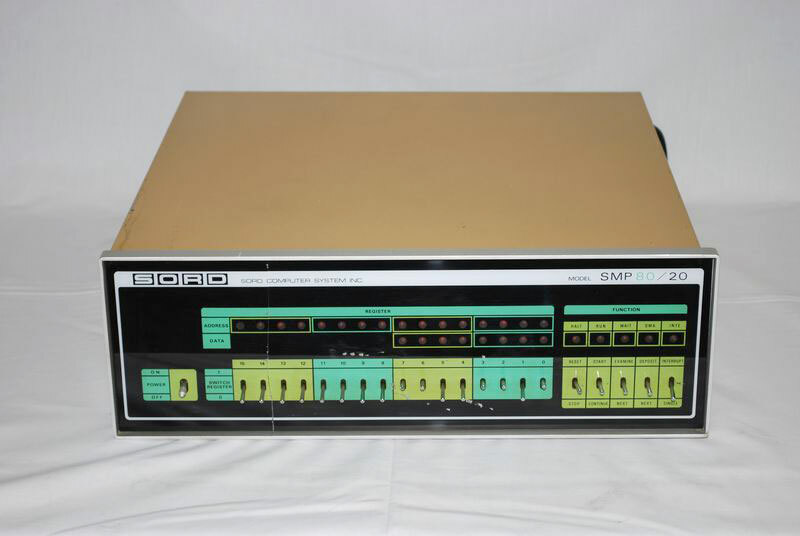 Would also like one of those later rounded PET models, like the CBM 8296-D or similar. Or a Commodore 65 or a TI-99/8. OK, I guess I have several irrational wants. Edited by krslam, Fri Mar 25, 2016 9:45 PM. A Commodore Amiga. I find it fascinating, but I don't know if I can justify the price. You can get a 500 pretty cheap, but you'll need either the monitor to go with it or get a VGA board for it (unless you really want to suffer with RF on your TV). I'll keep this in mind. Thanks. Oh yes, I used to have an irrational desire for an Okimate 10 colour printer, like the ones advertised in COMPUTE! in the mid 80's. I thought they would print very pretty colour pictures, better than e.g. a VIC-1526 colour plotter would. This desire is something I had well into the mid-late 1990's, and I may even have had a chance to pick up one, but at that point I didn't bite. After reading up on Wikipedia how it works, and the fact that generally I'm totally indifferent to vintage computer printers these days (as opposed to most other vintage computer peripherals), it no longer is a want of mine. Also, I've already got a colour laser printer that possibly generates as good, or better colour prints as the Okimate with its wax printing would. 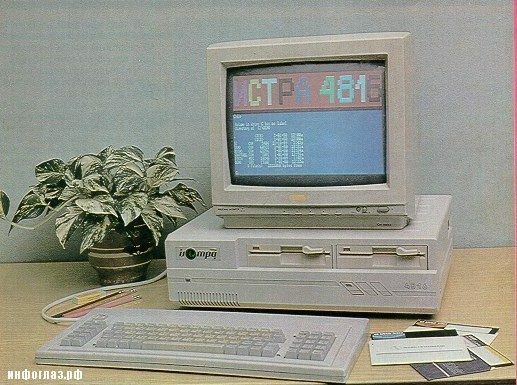 I really want a Commodore 1764 REU. And pretty much just for GEOS. we have seen several as recently as last year, we recycled them.. ugh! Coleco Adam system. I remember my little 10 year old mind just dying to have one. Good thing we never got one and they disappeared so quickly that I never got a change to get one. @Almost Rice - I posted the very same thing in the Your First Computer thread - I asked for an Adam but got a Commodore and it worked out for me much better than an Adam ever would have! If I had the room... and money... I'd get a monster mainframe from the 60's or 70's. A Micral. We invented the first ready-for-use micro-computer, I have to get one! Soviet computers... Because some looks cool. This one amuses me... That might be the only IBM-PC XT compatible ever made in a "80's all in one" style. 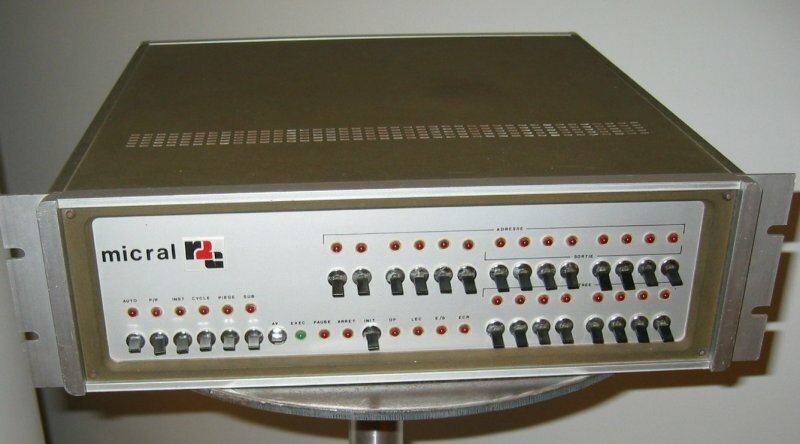 And this PDP-11 compatible clone was the very one Alekseï Pajitnov used to program Tetris. I can't claim it being an active irrational want, but I wouldn't say no to a Sord SMP80/x series. There is a claim that Sord made the very first computer to use an Intel 8080, ahead of Altair and everyone else. The Univac and Sord SMP80/x look almost futuristic. Like a 70's concept car except for computers. My wife had a load of big iron in the form of small vax' and pdp material. Took a lot of fiddling and busywork to get anything even remotely useful done. Even in a hobbyist sense. For me it's the Apple 1 Replica. I actually have a great reproduction PCB and sourced all the chips. Not sure when I will actually start the projects. Still need a keyboard, tape player and transformers.